Some new images of upcoming Sony Xperia XA3 have been leaked again. The latest leaks of the Sony Xperia XA3 comes from the reliable Twitter source @rquandt who have shared a couple of new images of the upcoming Xperia XA3. The new images reveal that the device has a very large size display with a huge 21:9 screen aspect ratio. 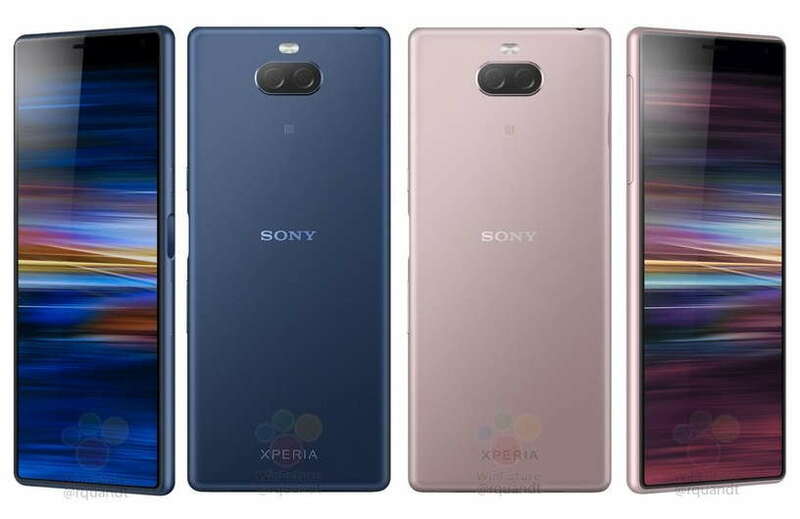 The latest leaks reveal the upcoming Sony Xperia XA3 in its full glory in four different color options, including black, silver, blue, and pink. The images show that there is almost no chin at the bottom of the device. The Xperia XA3 also appears to have a side mounted fingerprint sensor at the right. The new images look like an official rendering of the upcoming Sony Xperia XA3 which Sony is yet to announce. The Sony Xperia XA3 appears to have a big forehead. On the back of the device, we have an oddly placed dual rear camera setup with LED flashlight. With that big forehead and almost no chin, the front of the device looks really weird. Moreover, there is an NFC logo and Xperia branding at the back. On the left side of the device, we can see the place given for the SIM card tray. The Sony Xperia XA3 also appears to have a 3.5mm headphone jack at the top right side. According to the previous leaks and rumors, the Xperia XA3 is expected to feature a 5.9-inch screen with an unseen 21:9 aspect ratio screen. Other this, the Sony Xperia XA3 is expected to be powered by a Snapdragon 660 processor coupled with 4GB RAM and 64GB internal storage.Additionally, the device is expected to pack a 3,500 mAh battery, dual 23 + 8MP rear-facing cameras, USB Type-C port for fast charging and dual speakers setup.